Hear all of the horror stories about expensive divorces. Hear that even people who agree on all matter go through many years and many thousands of dollars to get divorce. Why pay lawyers the money you set aside for you children’s tuition or your retirement? Why have to sell all of your assets or borrow money from family members when you and your spouse agree. NY now has as a ground for divorce as irreconcilable differences. If you and your spouse agree on the grounds and the assets, why spend a life time of savings to get divorced. You may be able to pursue an uncontested divorce. The process is not complicated and can save you money and heartache. 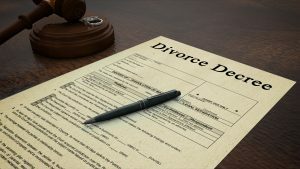 You can generally accomplish all of the paperwork with just 2 visits to my office and, in most cases, be divorced in less than 1 year. Hard to believe. Call my office and schedule a consultation.